We at TITIJAYA strongly believe in that people are the most important resources in building an excellent organization. Continuing with the Group’s philosophy of best practices, TITIJAYA is inviting Malaysian students with a positive attitude and leadership qualities who intend to pursue a fulltime first degree in any of the following discipline to apply for the TITIJAYA Scholarship Fund. - Civil Engineering / M & E Engineering / Housing, Building & Property. - Architectural / Building Surveying / Quantity Surveying. - Accountancy & Finance / Business Administration. - Marketing & Sales / Computer Studies. - Age 21 years old or below. - Good academic results in SPM / STPM. - Not presently holding other scholarship / loans (Including PTPTN). - Has gained acceptance into local public universities. - Scholarship amounting to RM 3, 000 per year for Certificates students. - Scholarship amounting to RM 4, 000 per year for Diploma students. - Scholarship amounting to RM 6, 000 per year for Degree students. - For a maximum of 4 years or minimum period required by the scholars to complete the course, which ever earlier. 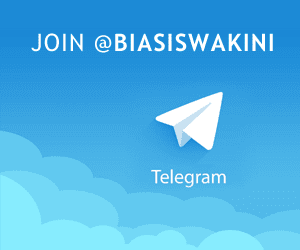 Successful applicants will be required to serve TITIJAYA GROUP OF COMPANIES for a minimum of 2 years upon completion of their studies. How to apply? 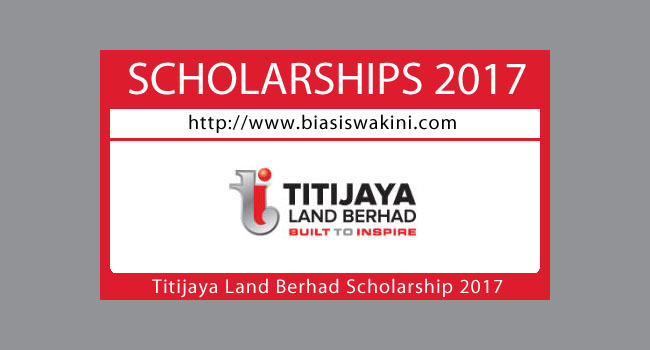 0 Komentar untuk "Titijaya Land Berhad Scholarship 2017"